It is our mission to invest and cultivate talents, to discover and develop solutions, that make a difference in today and tomorrow’s world. 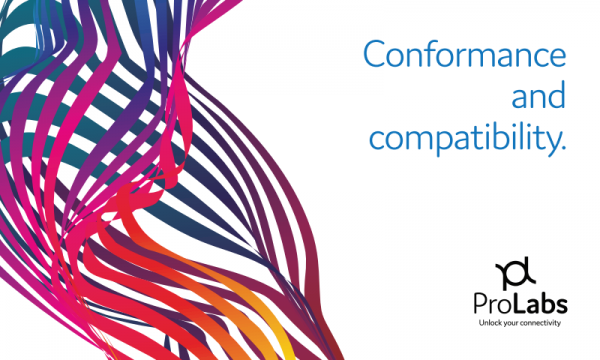 Our experience comes as standard; for over 15 years ProLabs has delivered optical connectivity solutions that give our customers freedom and choice through our ability to provide seamless interoperability. At the heart of our company is the ability to provide state-of-the-art optical transport and connectivity solutions that are compatible with over 90 optical switching and transport platforms. Customer service is our number one value. ProLabs has invested in people, labs and manufacturing capacity to ensure that you get immediate answers to your questions and compatible product when needed. With Engineering and Manufacturing offices in the U.K. and U.S. augmented by field offices throughout the U.S., U.K. and Asia, ProLabs is able to be our customers best advocate 24 hours a day. 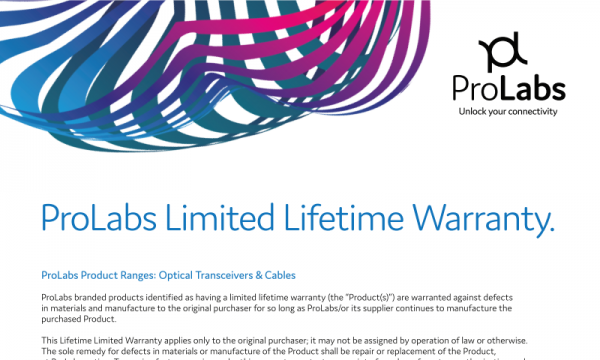 From 100Mb to 100G, ProLabs has a portfolio of over 13,000 optical transceivers to service data rates, wavelengths and OEM vendors. 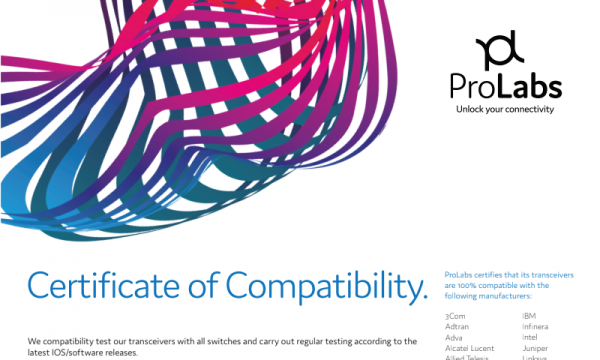 ProLabs continues to develop new innovations and build upon our compatibility with over 55 optical switching and transport platforms. To complement our line of compatible transceivers, ProLabs provides a wide range of fiber patch cables, fiber multiplexing filters and DAC/AOC. ProLabs offers complete line of MPO/MTP fiber patch cables with bendable fiber capabilities, compact high-density filters and complete line of DAC and AOC with custom length, breakout and multi-vendor capabilities. To meet the need for extending and monitoring networks, ProLabs offers a complete line of Media Converters, OEO and fiber monitoring solutions.